You've just learned government regulators will be investigating your business. Now what? Please join us for a candid discussion on recent developments, best practices and discover strategies on how to comply when government regulators look into your business. Wendy Voss will discuss why both unionized and non-unionized employers should be concerned about an activist NLRB and what their "quickie election" rules could mean for your workplace. She will discuss how to avoid unfair labor practice charges (ULPs) based on concerted activities and why even non-unionized employers should be concerned about ULPs. She will also illustrate why social media presents risks to both unionized and non-unionized employers. Kathleen Furey McDonough will discuss how to respond to a charge of discrimination from the EEOC or DDOL including immediate steps to take upon receipt of a discrimination charge, important factors to consider in responding to a charge, steps to take to secure documents and witnesses (and why it matters) and when to consider accepting a mediation invitation. Jennifer Gimler Brady will provide tips on how to successfully navigate an FLSA audit by the Department of Labor. She will discuss what to expect from a wage and hour audit, how to secure documentation in response to an audit, and best recordkeeping practices to help employers be prepared in the event of an audit. She will also identify potential risks and exposure in case of adverse findings from an FLSA audit. Janine Hochberg and Michael Rush will discuss what to expect from an OFCCP audit, who should be concerned about recent litigation initiatives in ADA public accommodations and how Delaware's new medical marijuana law will work. Please reserve your space by contacting Lauren Kornsey at 302-984-6221 or lkornsey@potteranderson by May 8, 2015. There is no fee to attend this program. This program has been approved for 2 HR (General) HRCI credits and 2 SHRM PDC credits. 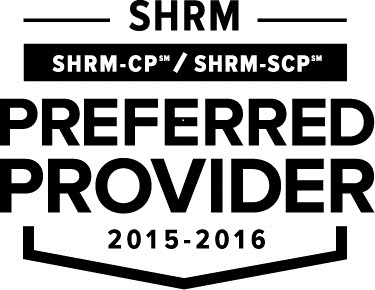 Potter Anderson & Corroon LLP is recognized by SHRM to offer Professional Development Credits (PDCs) for the SHRM-CPSM or SHRM-SCPSM.